We could not do the programming and web design work we need to do to support our highly-mobile alternative lifestyle without some computer tools we use every day; I thought I would share them here. set one up and get used to using it. It’s the future…. Evernote is a place in the cloud to save all your records, documents, pictures, etc., so you can access them on your phone, your tablet, laptop or computer. Using Evernote, we went from having hundreds of linear feet of files (ten of the 4-drawer legal-sized filing cabinets full of old client projects, tax records, prospect files, old writing projects, research notes and so on, which I mostly kept in 3-ring binders we bought by the case) to having NO paper files other than some operational manuals for our vehicle. 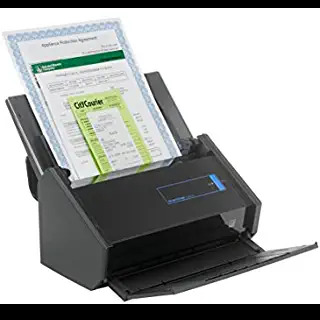 I then spent every spare moment for nearly 3 months carefully going through our files and scanning the information we needed to actually retain, and destroying the unneeded paper on which that information used to reside. I gave all the empty binders to a local private school for their students and faculty to use. 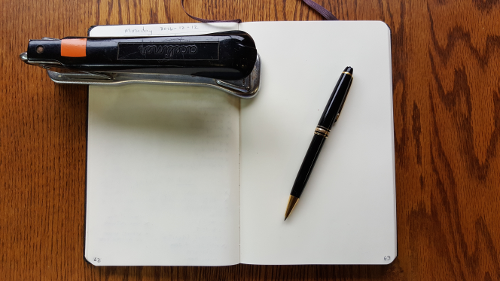 We both still use paper “bullet journals” to keep track of what needs doing, because we are old-school and I must get my daily fix of actually writing something with my MontBlanc mechanical pencil. But my 40-year old Aceliner stapler (a beautiful old gothic-looking thing) which I brought with us only because it’s been on every desk I’ve occupied since 1976 — goes sadly unused.